This TI-5045 is based on the TI-5130 introduced about two years earlier. Main difference is the calculating capability with 12 digits instead 10 digits. Within three years the calculator got a much smoother styling. Don't miss the TI-5045 II. 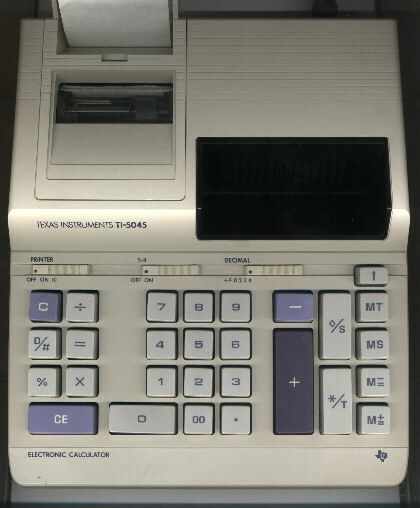 The TI-5045 is featured in the Texas Instruments Incorporated bulletin CL-867A dated 1985.